Niccolo Machiavelli wrote The Prince as a dedication to Lorenzo di Piero de’ Medici, to gain the favor of the Medici, the ruling family of Florence, in the early 1500s. The Prince is a political treatise written in the style of a Mirror for Princes, detailing the ways a Prince ought to and not ought to act in both political and military matters. Machiavelli forms each chapter around a specific issue that a Prince (ruler) must deal with and provides specific and current (to the pre-Renaissance Italians) examples of other princes and how they dealt with the issues he asserts. Machiavelli goes into detail on these issues and specific examples by pointing out what these true to life princes either did correctly or incorrectly. Machiavelli closes each chapter with a brief summary of these issues and the way a Prince with virtue and skill would handle the situation. At the end of the book Machiavelli points specific current issues with Italy, and proposes a specific plan of how to make the Medici of Florence great, in hopes they would reward him for his genius. Some of Machiavelli’s suggestions, however, at the time seemed quite radical and his efforts to impress the Medici were in vain. The Prince is now renowned as one of the first pieces of modern philosophy, in which the effective truth is taken to be more important than any abstract ideal. Many of Machiavelli’s ideas are now quite common place in today’s political world, such as the ways a ruler must interact with his/her people, it is for these reasons that Niccolo Machiavelli and his work The Prince survive to the present day. The Prince is a very interesting book, however it is a very dry read. For its purpose, which was to instruct the ruling powers of Italy during the 1500s, it exceeds in all areas, for entertainment value it gets a zero. The Prince reads more like a text book or a self help book more than anything else, outlining specific issues, giving examples, and showing solutions to problems. However, Machiavelli’s command of language and philosophy make it unusually clear and understandable for a five hundred year-old book on war and politics. 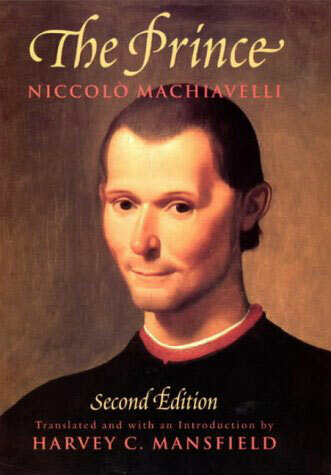 It is unnaturally clear for a book of its type because Machiavelli spends much time dissecting each problem and providing a plethora of examples that both disprove and prove his theories. Machiavelli carefully weighs each and every solution against each other to find the clearest and most obvious solution to the problems he presents, even if it is not the easiest or most popular solution. Despite his lengthy discussions on certain topics, The Prince is a very quick read, only about one hundred pages long. For me this book was an inside look into the politics and thought of the Renaissance era, and was very intriguing. If you are a politics lover this book is a must, and if you are looking for a quick educational read give it a try, but if all you want is a good story, this book isn’t for you. I really thingk this is a good book, it has a lot of action.